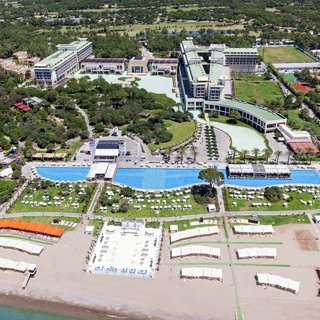 With its endless sandy shores, its clean beaches awarded with the blue flag, its distinctive pine forests, its holiday villages and golf facilities at international standards, Belek, the tourism paradise in the Mediterranean area has proved with the countless national and international important meetings and congress organisations that were held here, that it is one of the most distinguished conference and congress centers not only in Turkey but in the whole world.There are a total of 204 congress/meeting halls with capacities for 500 to 3.500 persons, offering simultaneous translation services. 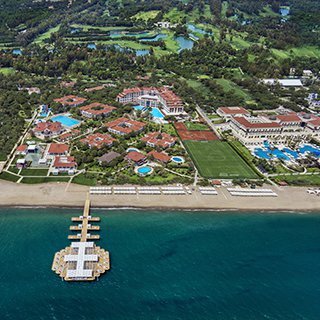 Beside its technological infrastructure, with its luxurious facilities, a blue sea, green pine forests and its proximity to historic sites, Belek is an ideal destination for congress tourism, as well.Being host to national medical, scientific congresses and conferences of Turkey’s most prestigious companies, during the last years, Belek has also achieved to become the host of important international conferences as well. 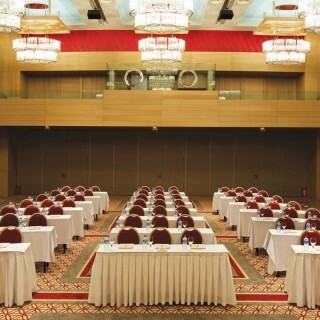 The G20 Leaders Summit that brought together heads of state or government like Obama or Putin and high level bureaucrats of the worlds’ 20 most important economies, the meeting of NATO Ministers of Foreign Affairs, the 53rd General Assembly of the International Congress and Convention Association (ICCA) known as the “congress of congresses” that brought together congress organizators from all over the world, the 68th Global SKAL (International Association of Travel and Tourism Professionals) Congress, the 57th General Assembly of the German Travel Association (DRV), the World Debate Championship, are only some of these organizations. 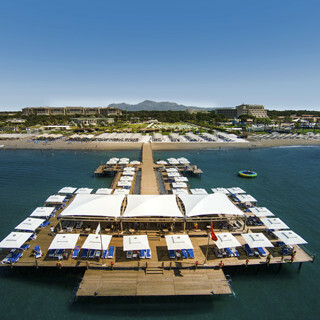 Our Hotel Renovated in 2009, Adora Resort Hotel is located on 116.000 m2 area and has 300 mt long private sand beach. 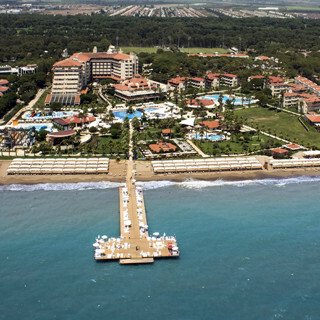 Being in Belek Tourism Center, our hotel is 5 km to Kadriye Town, 12 km to Serik, 39 km to Antalya City Center and 29 km to the airport. 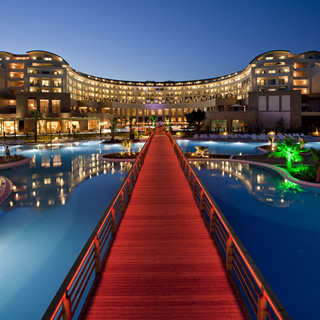 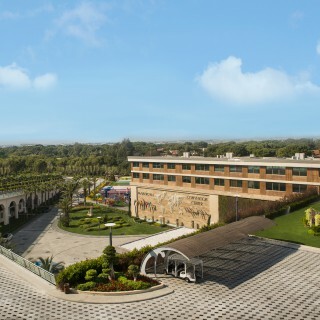 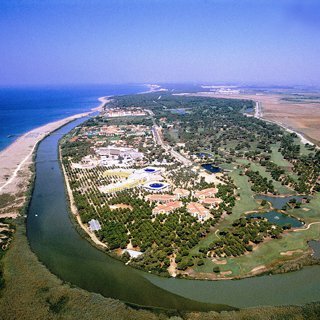 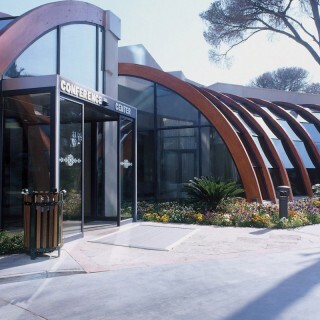 Furthermore, Adora Resort Hotel is approximately 1 km to the most beautiful 5 golf clubs of Belek, Turkey’s golf center. 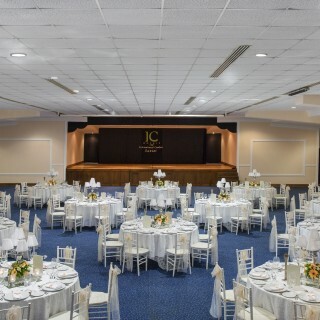 Having 2 separate hotel buildings, our hotel offers you comfort with 260 Hotel rooms and 240 Club rooms in two storey blocks within the garden; a total of 500 rooms and not to mention 10 Family rooms and 7 Suite rooms. 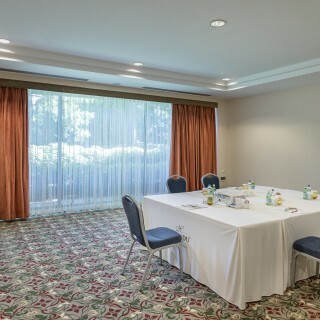 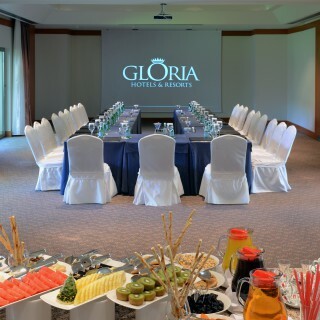 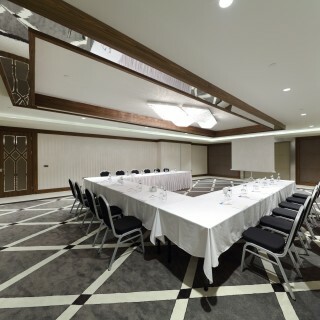 Adora Resort Hotel provides you meeting halls in 12 different dimensions for all of your meetings and congress organizations. 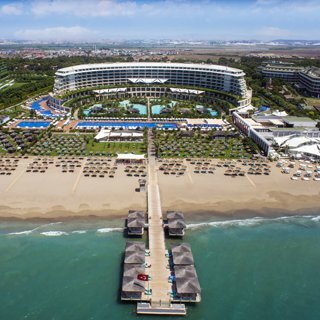 Sıtuated at antalya/kadriye and leaves admıratıon wıth ıts natural beautıes Green Max Hotel belek answers all the expectatıons of the guests wıth ıts huge swımmıng pools, unlımıted actıvıtıes and 100.000 m2 area. 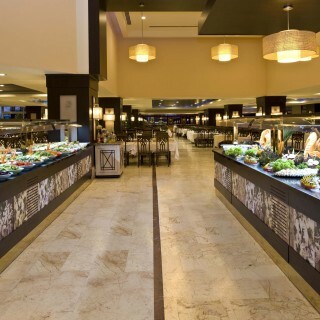 turkısh and ınternatıonal cuısıns’ tastes are presented to guests ın the restaurants have dıfferent concepts, so open out an unıque and happy holidays’ doors. 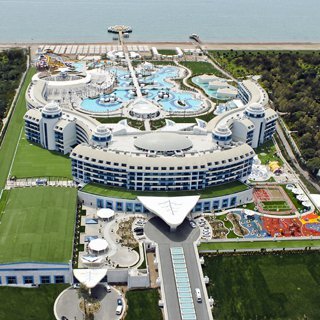 Location: Located 30 km from Antalya and 25 km from the airport . 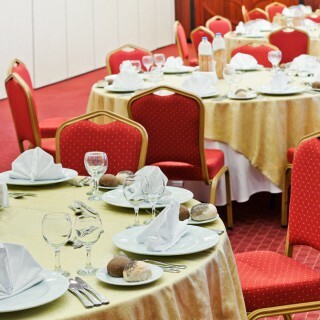 Accommodation: Ultra all-inclusive concept ; breakfast, lunch and dinner are served in buffet style. 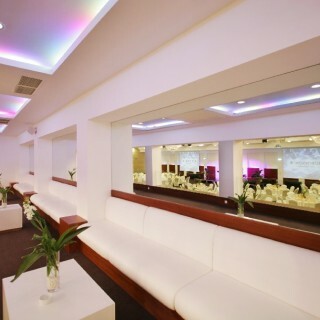 Alcoholic beverages 10: 00/02: 00, soft drinks are free of charge 24 hours. 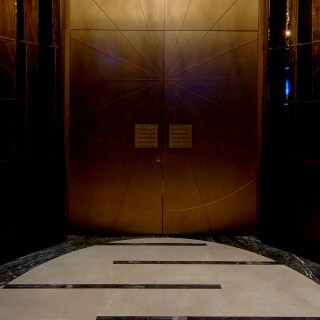 Mini bar is updated every day. 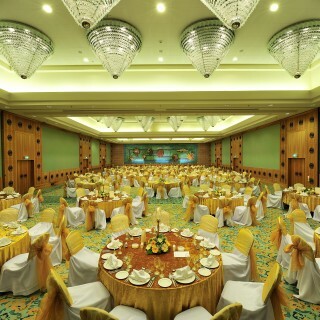 Meal: 07.00-10.00 breakfast , 10:00-11:00 late breakfast, 12:00-14:30 lunch, 12:00-16.:00 snack , 16:30 to 17:30 tea time(with cake ), 23:30 - 00:30 late nigt snack,10:00-24:00 pool bar. 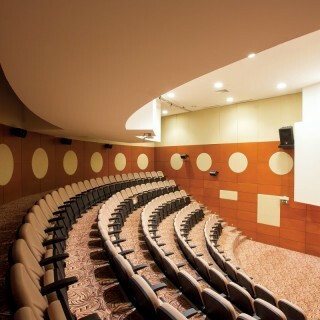 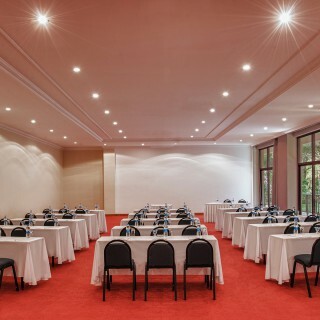 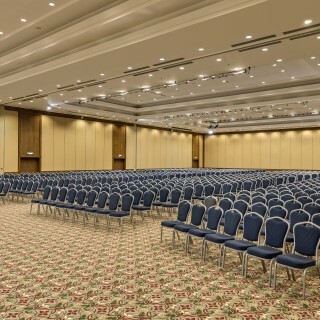 Convention Center Built on a total area of 6.620 m², Kaya Palazzo Congress Center is ready to host the most sophisticated meetings with the use of advanced products and services. 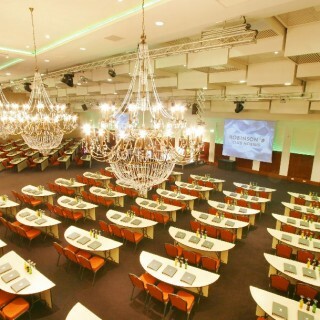 With a ceiling height of 9 m, the 2.150 m² astylar style hall which can be sectioned off to 3 separate areas and an adjacent 1.892 m² foyer and 14 meeting halls are ideal for large and extensive organizations. 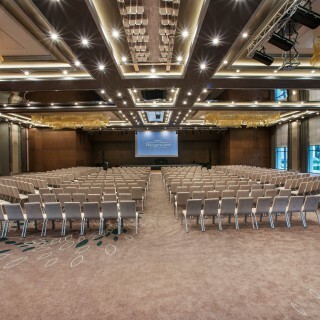 Standing out as the largest convention center with its close proximity to the airport, Kaya Palazzo Congress Center promises to raise the quality of your congresses and organizations offering an extensive sound and lighting system, internet infrastructure and sections allocated for simultaneous translation services.The Kaya Palazzo Golf Resort has 645 rooms and Hotel Riu Kaya Belek has 506 rooms, offering 1.151 room in total for your conferences. 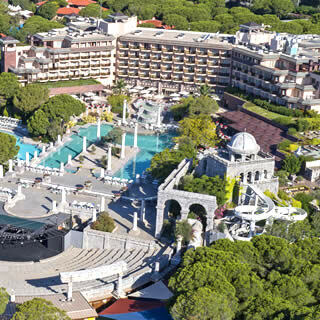 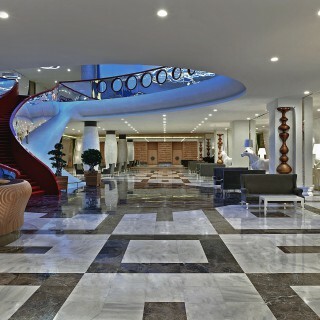 NEW DESTINATION OF THE CONGRESS IN ANTALYA! 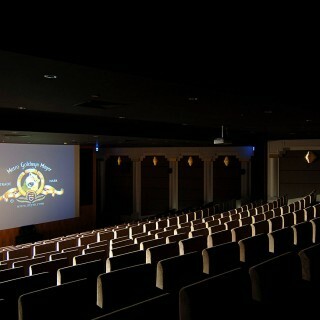 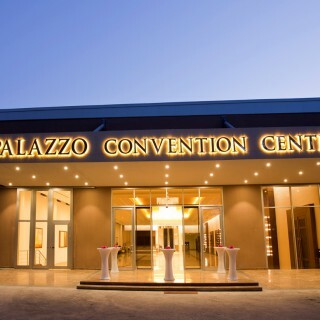 Palazzo Convention Center offers quality service with the latest technology equipment’s up to world-class standards. 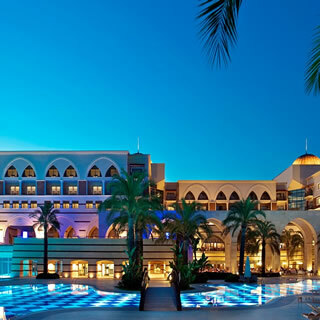 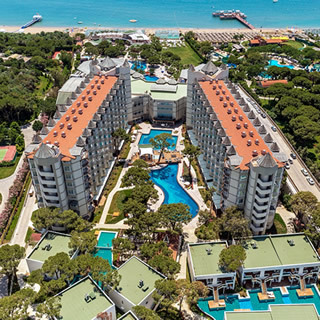 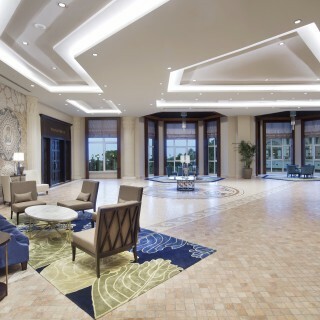 Convention Center with its exceptional architectural design is also situated between Kaya Palazzo Golf Resort and Riu Kaya Belek Hotels, both hotels have an entrance. 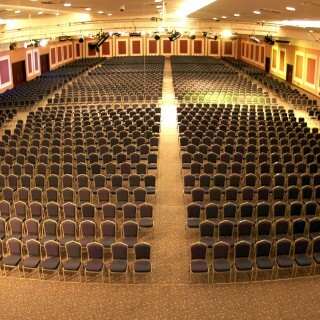 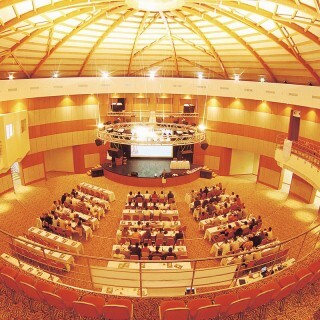 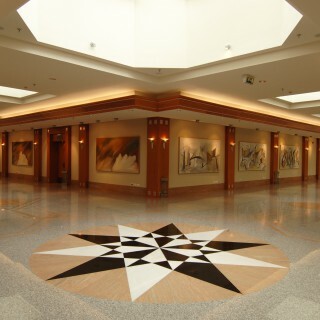 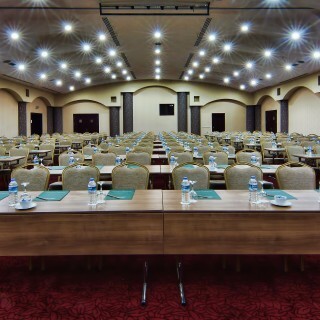 Kaya Palazzo Convention Center offers 6.290 m2 indoor capacity. 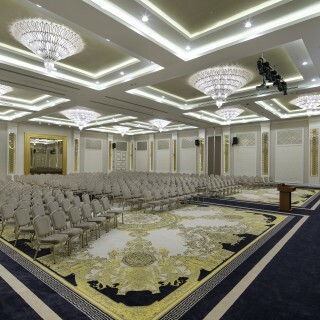 The Ballroom with 2.000 m2 which has 8 m height up to the roof without any columns, is dividable into 3 sections. 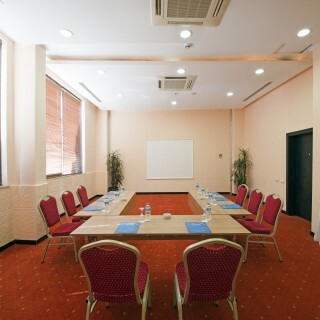 There are 13 meeting rooms as well as foyer with 1.975 m2 total area. 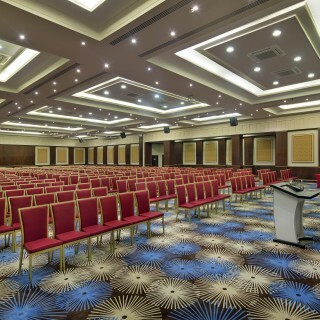 Kaya Palazzo Golf Resort has 639 rooms and Hotel Riu Kaya Belek has 518 rooms, offering 1.157 room in total for your conferences. 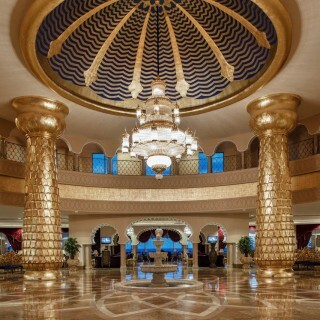 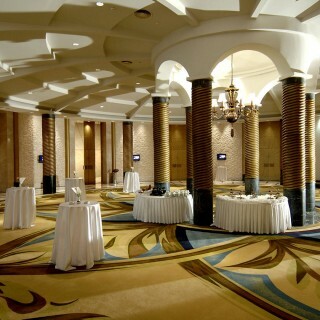 Kempinski Hotel The Dome is ready to meet your every need. 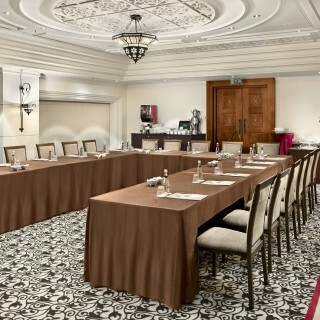 With deluxe accommodation and refined meeting facilities coupled with a luxurious spa, stimulating cultural activities and invigorating sporting opportunities, Kempinski Hotel The Dome is prepared to receive you and your business associates. 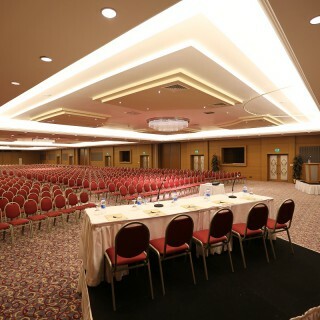 Conventions, corporate meetings, cocktail receptions, events and exhibitions are all handled professionally. 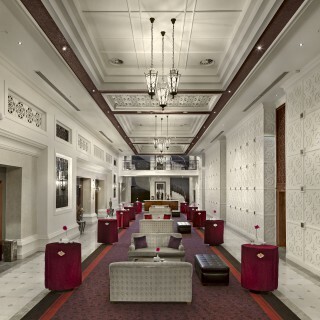 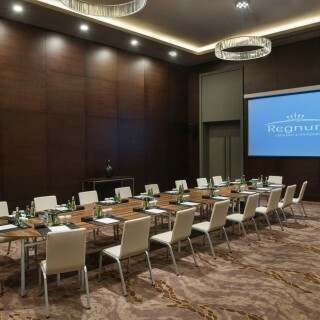 This 5-star luxury hotel is complemented by Kempinski service and possesses historical and cultural spirit. 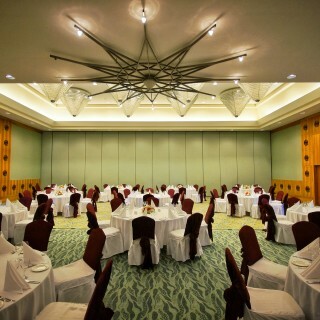 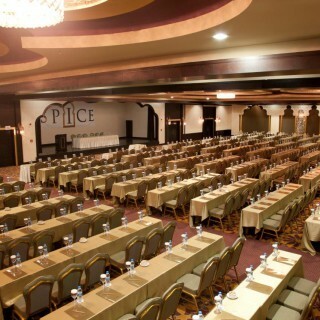 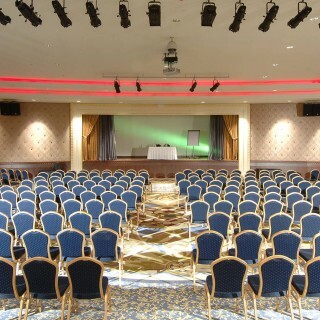 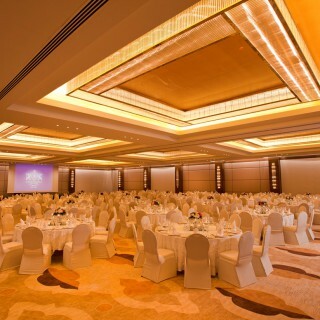 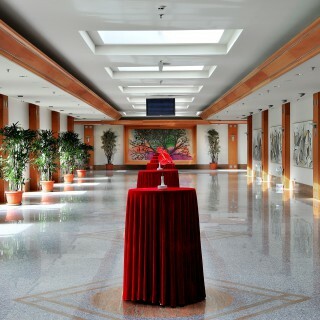 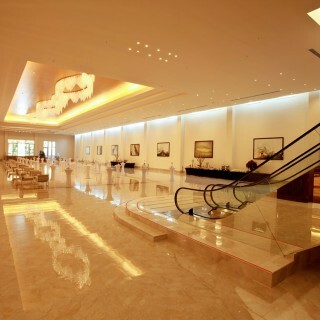 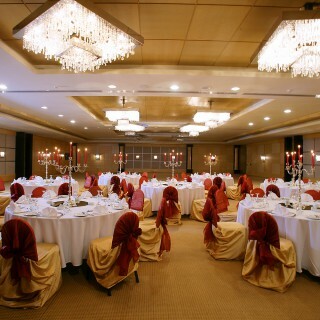 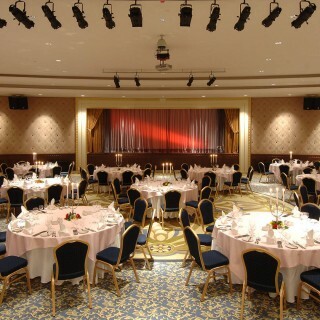 The hotel offers five function rooms and one pillar-free grand ballroom. 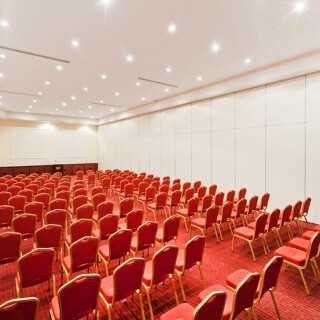 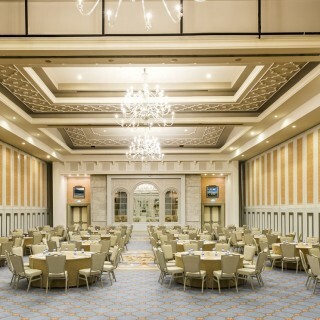 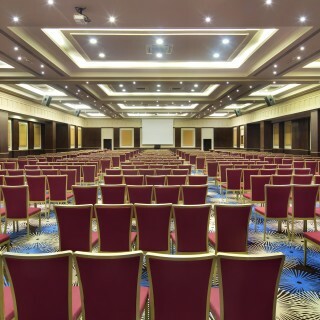 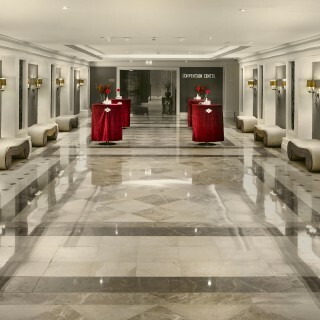 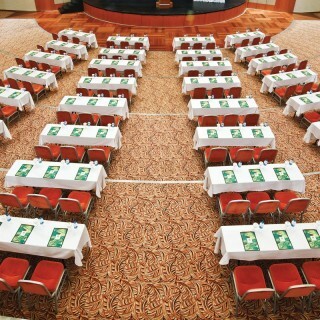 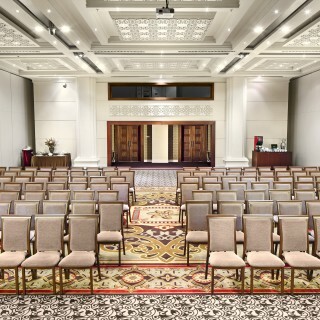 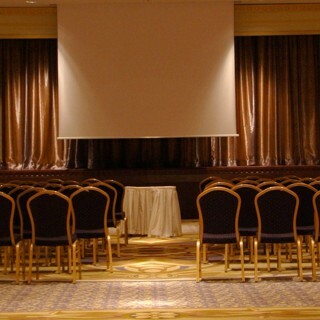 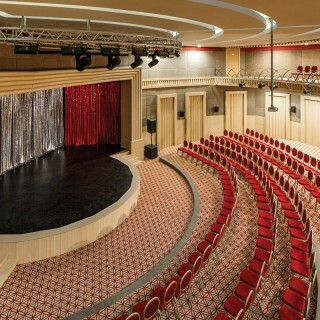 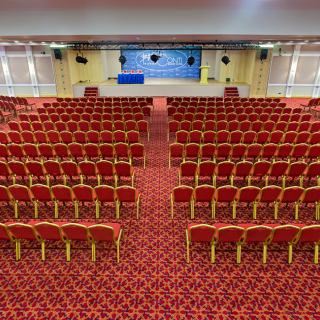 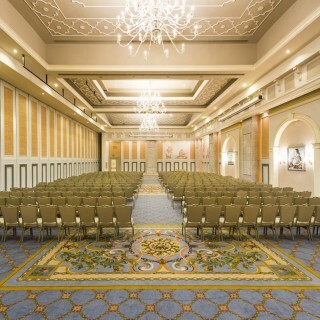 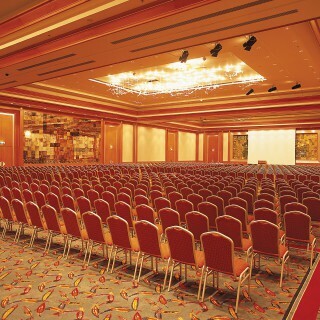 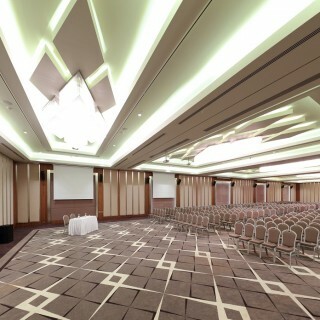 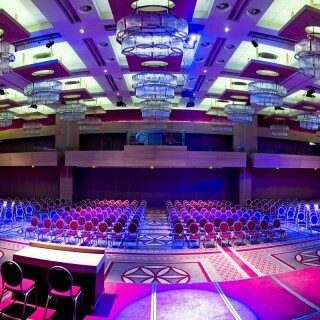 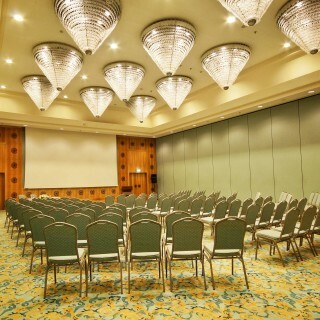 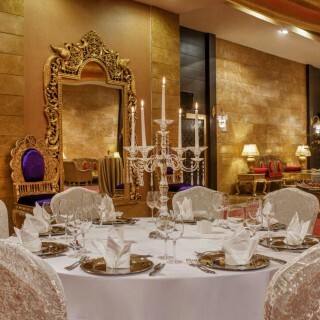 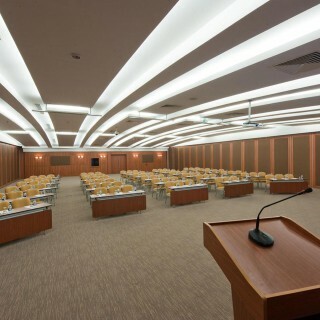 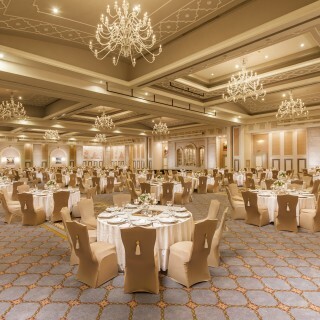 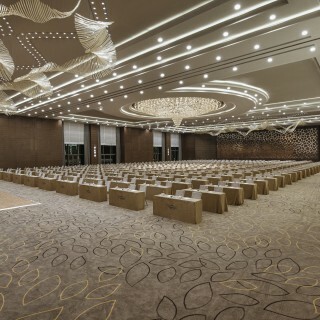 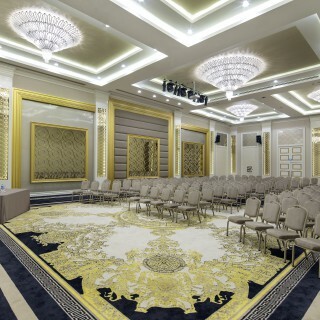 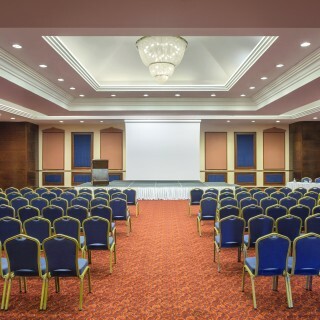 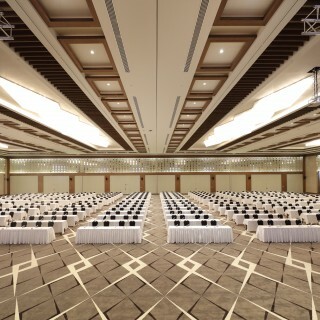 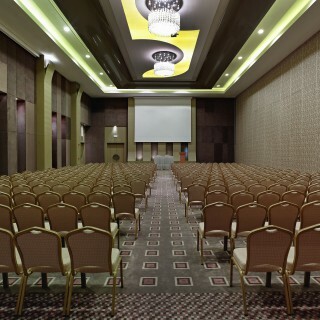 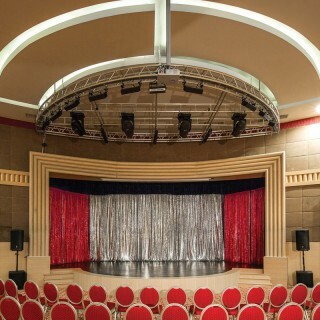 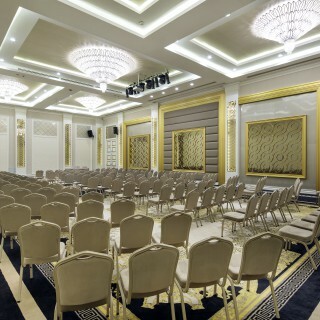 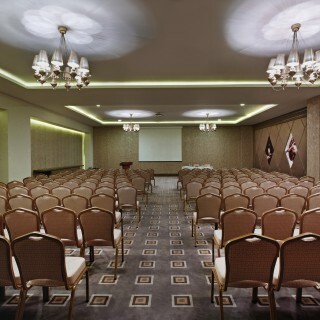 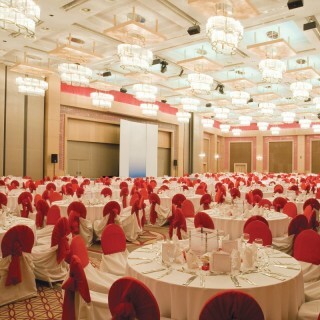 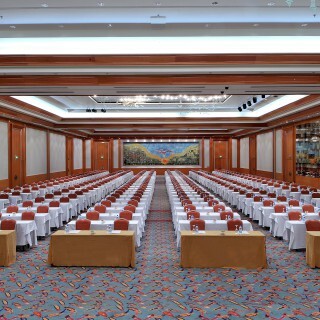 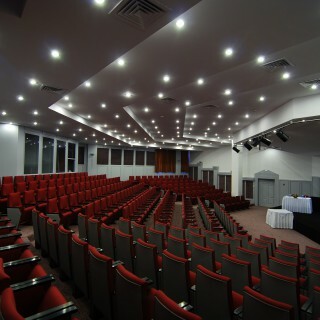 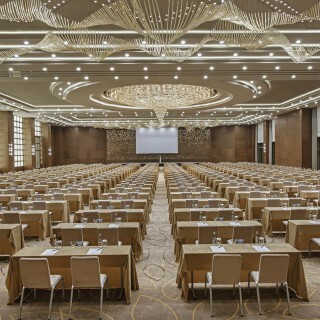 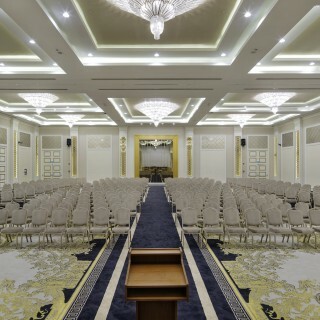 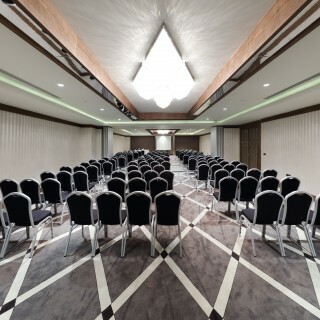 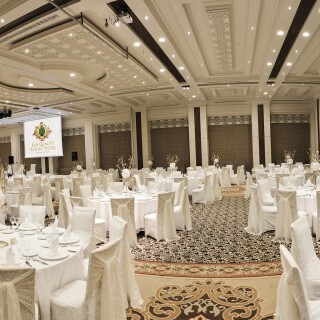 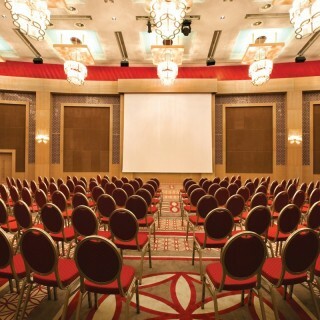 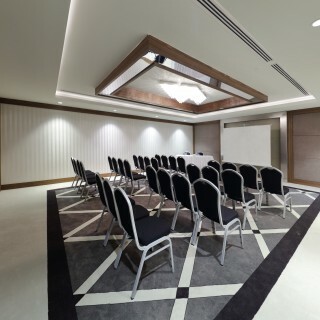 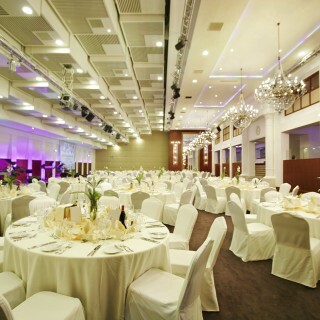 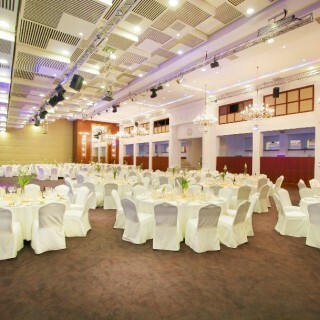 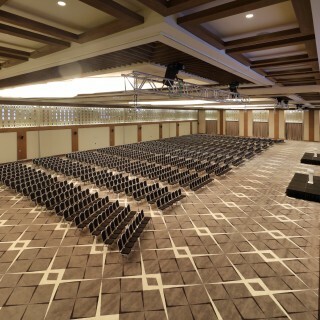 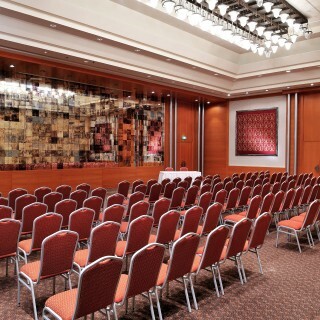 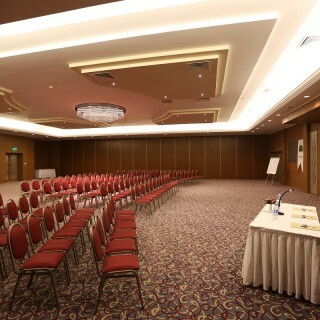 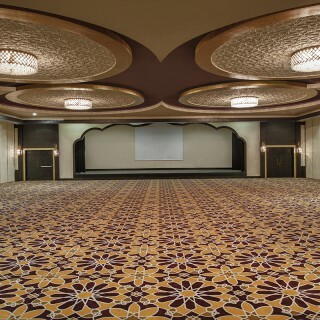 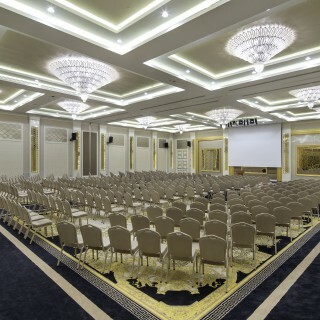 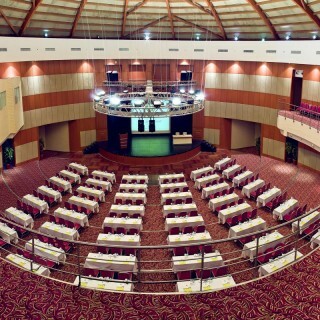 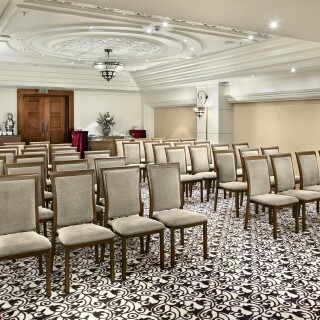 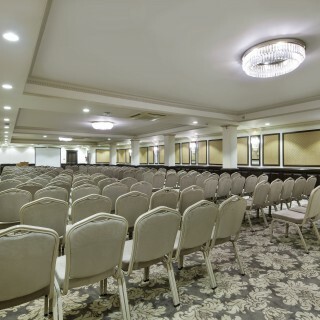 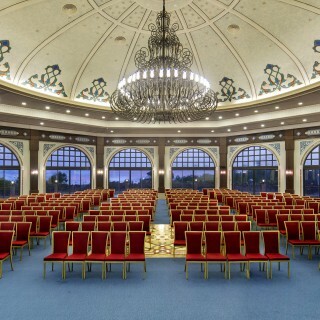 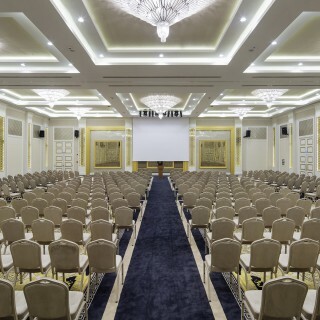 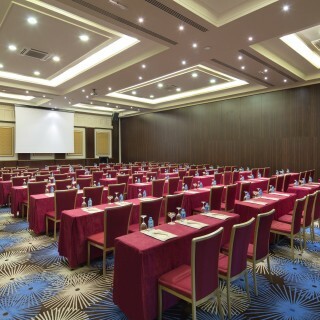 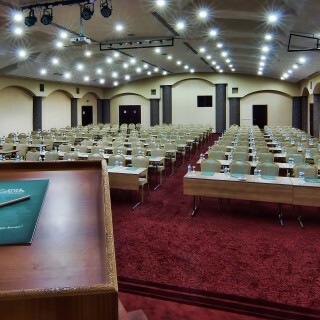 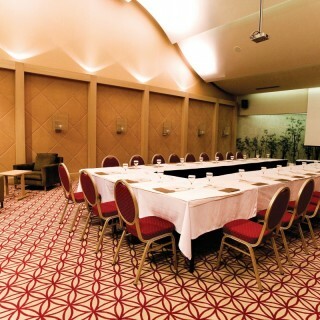 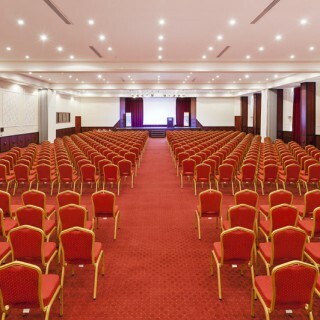 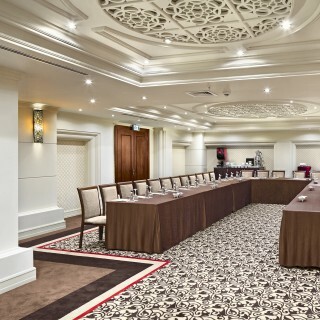 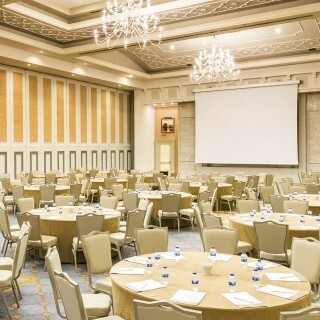 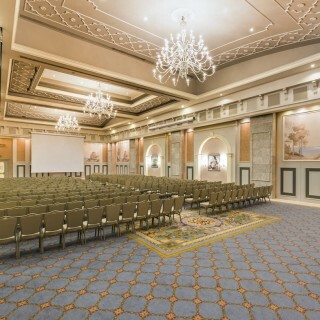 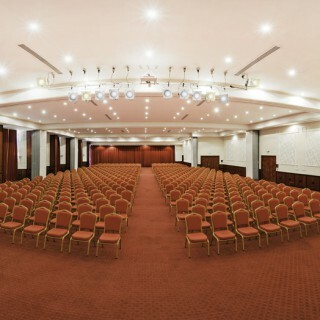 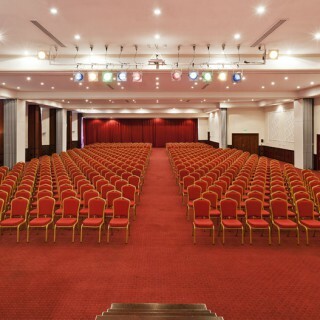 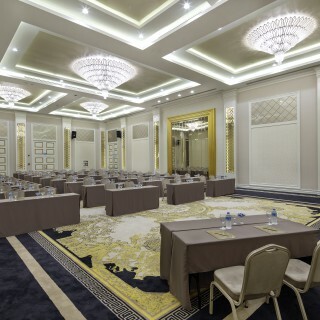 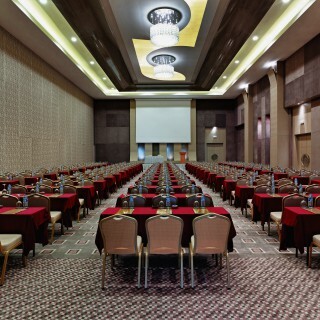 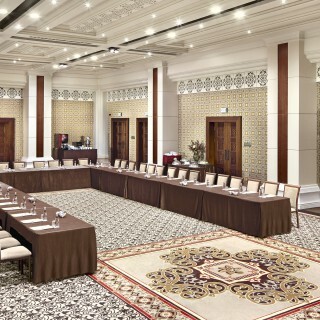 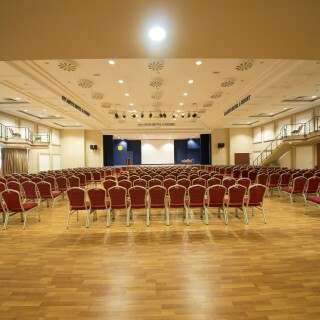 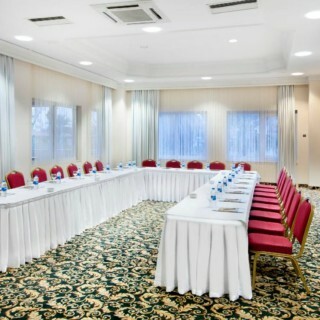 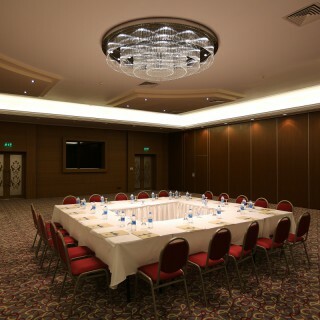 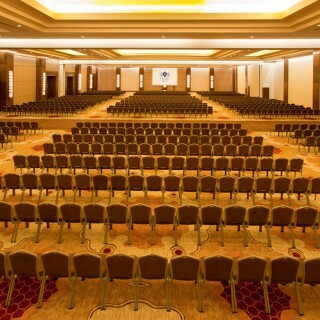 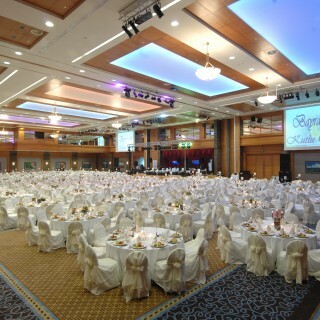 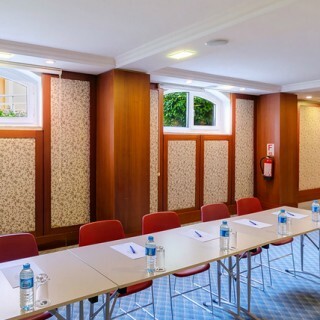 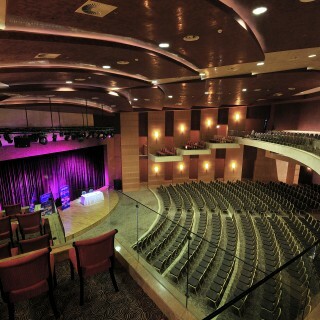 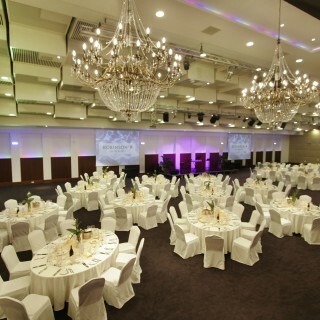 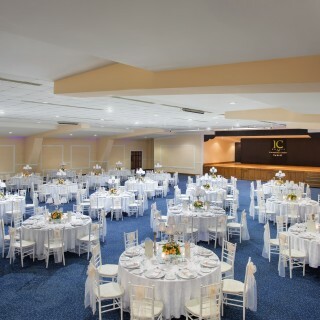 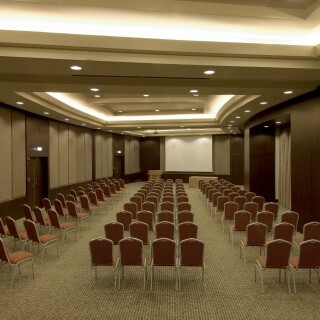 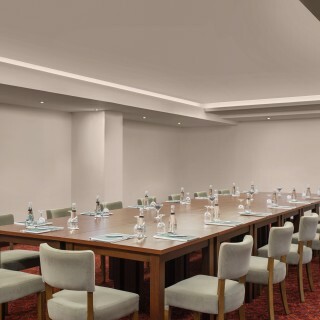 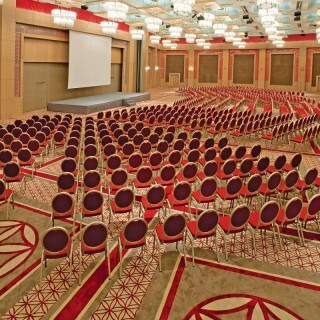 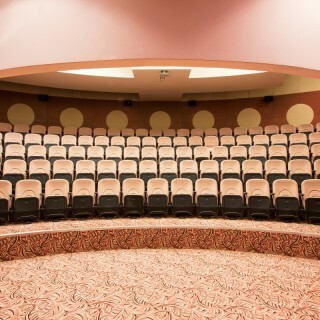 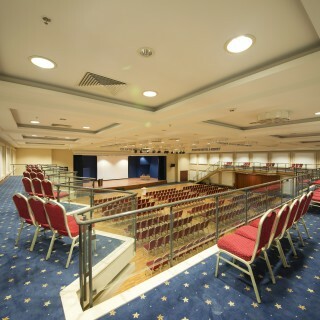 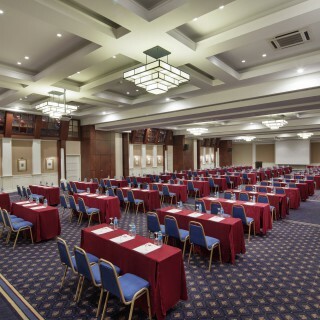 The Karatay Ballroom can accommodate up to 400 people for cocktail and theatre-style conferences.Kempinski Hotel The Dome is ready to meet your every need. 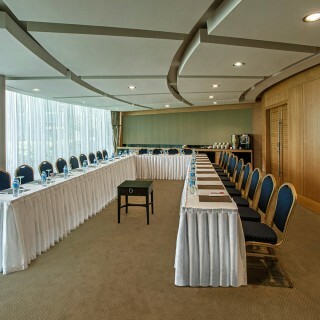 With deluxe accommodation and refined meeting facilities coupled with a luxurious spa, stimulating cultural activities and invigorating sporting opportunities, Kempinski Hotel The Dome is prepared to receive you and your business associates. 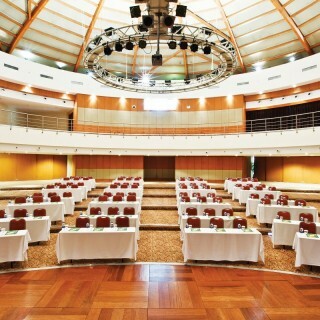 Meetings Inside the Forest – Belek Congress Center Our Congress Center which is situated inside the forest on a total area of 10 thousand square meters and guarantees that you will have a completely different meeting experience with regard to Congress and Meeting organization should you choose our facility, has an established experience and service tradition that would allow it to render services between 400 and 5000 people. 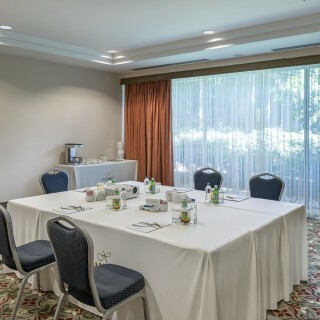 Our garden cafés that you may enjoy during your breaks from the meeting offer the healing power of the forest and birds chirping even in the midst of winter. 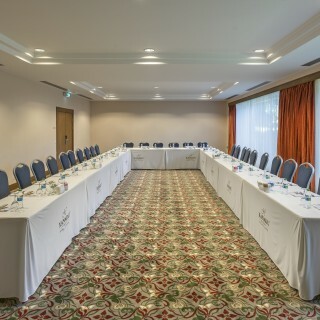 If you are traveling with your family, while you concentrate on your meetings, your family will find a number of activity options that they can spend time doing without feeling bored. 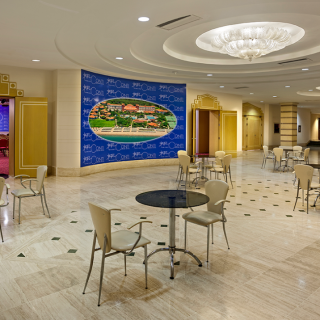 Your spouse can choose to relax at our SPA center while being treated by magic hands, while your child benefits from the training entertainment programs at our mini club.  Or they might both want to connect with the nature. 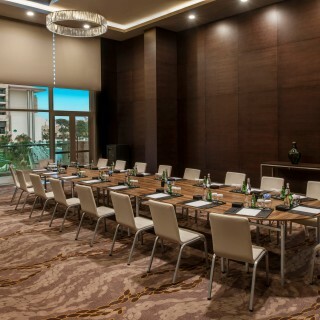 Major events of the business world turn into pleasure with Maxx Royal's exceptional services. 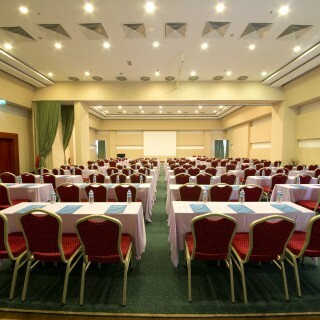 The resort's 10,000 m2 convention and meeting centre continues to host its esteemed guests with comfort during their corporate events. 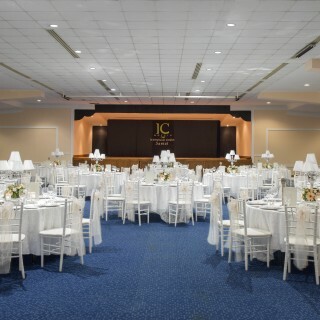 The convention centre offers 18 halls of sizes varying from 24 m2 to 200 m2, a 4.20 m high and 1904 m2 large main foyer, a 3.60 m high and 1128 m2 large hall without columns, another column-free large hall which is 8.15 m high and 830 m2 large that can be divided into two and can host 3000 guests at the same time with the other large hall, fair booth spaces and an exhibition hall, for events including international symposiums, exclusive conventions, corporate meetings and business meetings, all with the assistance of an experienced team. 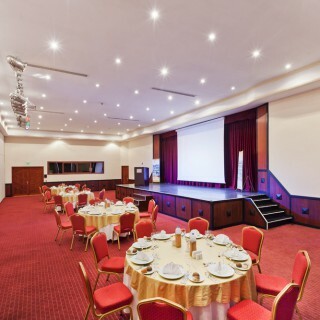 Papillon Ayscha Hotel is the right place to create a captivating moment for all events, whatever you needs may be... You'll find even more than you're looking for in the organisation of an event with our advance-technology equipment and expert staff. 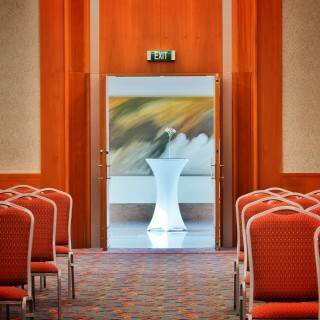 Do you want to impress your guests or your business partners? 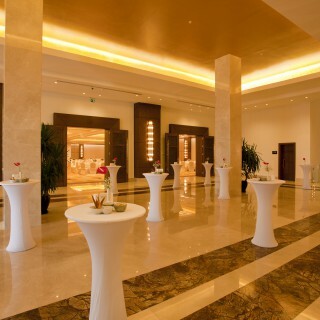 Then Papillon Ayscha is the place to be... Papillon Ayscha offers the perfect atmosphere to both host your guests and hold productive meetings and is always at your disposal with its unique event organisation and hosting services, ready to boost your productivity and prestige. 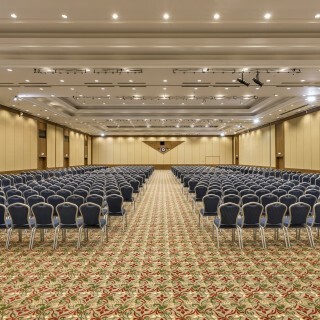 Our convention and meeting halls Gordion I, II and III have a foyer, 5 sun-lit lounges in the foyer that allow installing booths and 1 terrace. 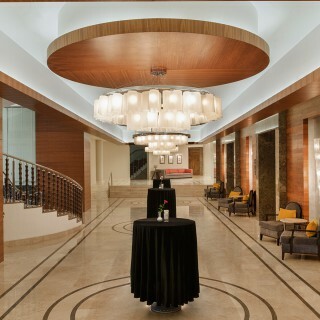 The terrace and lounges can also be used for coffee breaks. 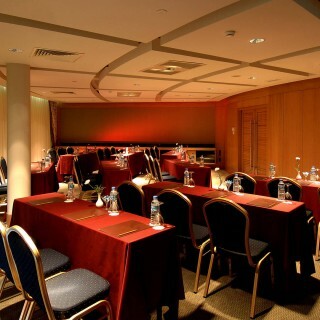 Our workshop Gordion-VI is sunlit and has a door that opens to the terrace. 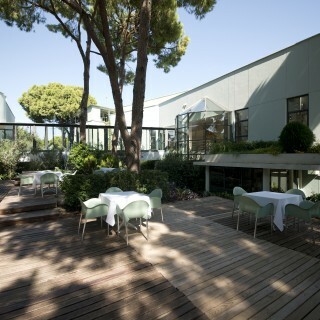 This terrace can also be used for small-scaled gala dinners and welcome cocktails. 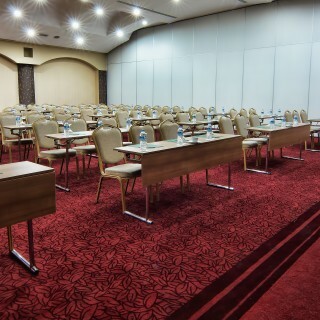 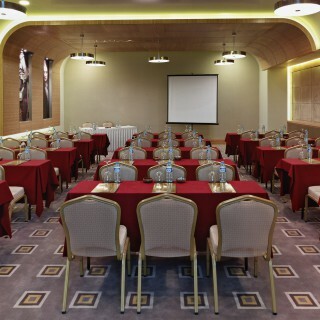 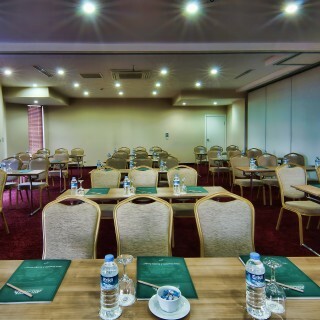 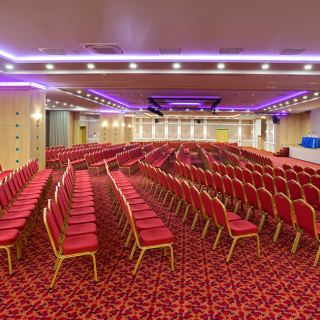 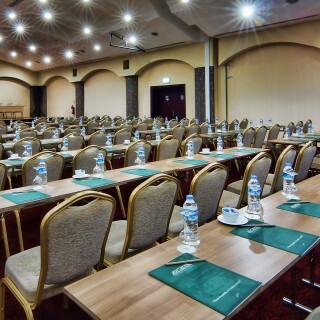 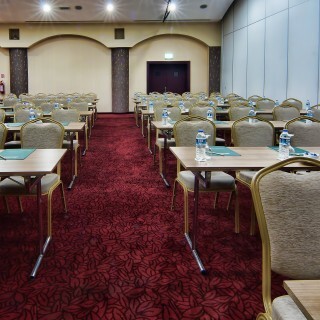 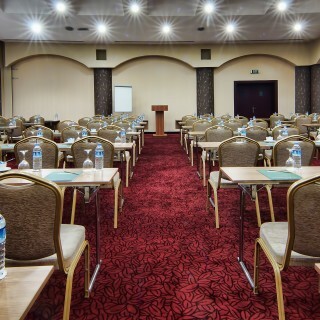 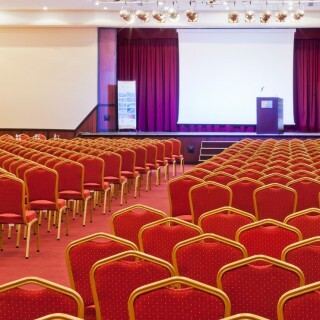 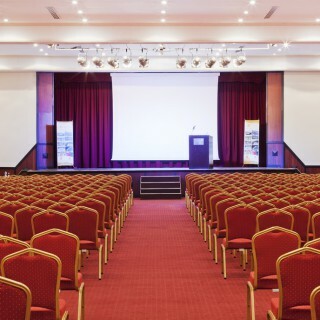 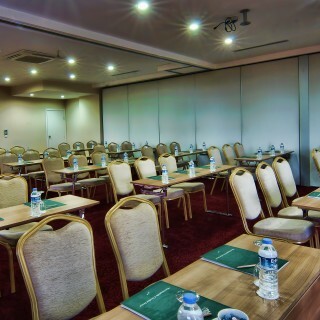 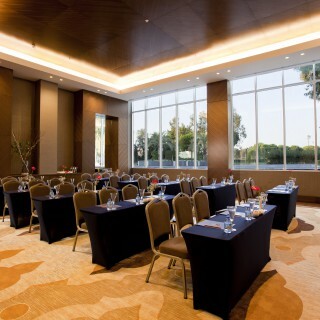 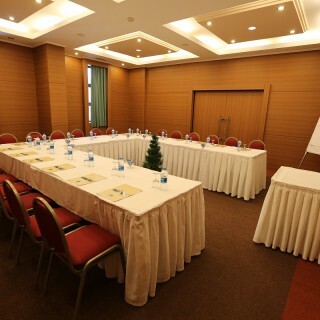 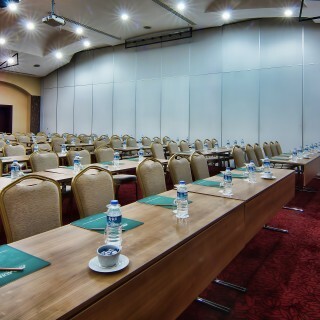 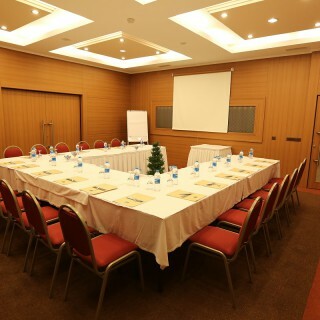 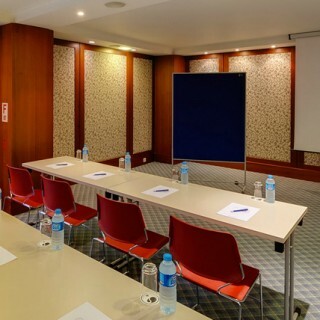 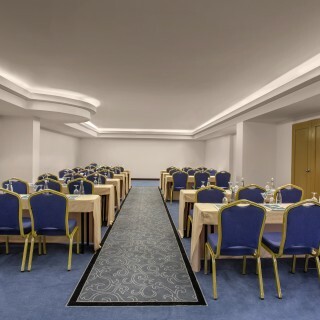 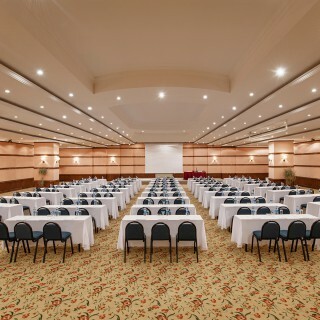 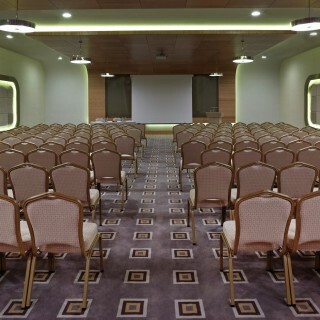 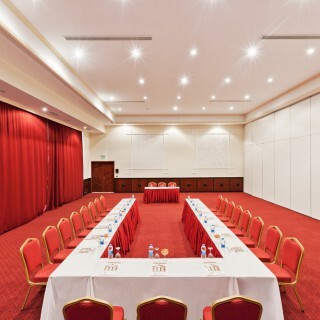 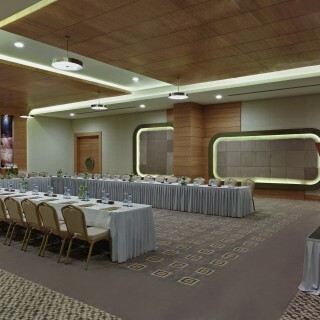 Meetings, seminars, launches, exhibitions and event planning... "Papillon Zeugma Convention Centre" offers you all the equipment you need for all your business gatherings and presentations to go smoothly with its wide range of services of excellent quality. 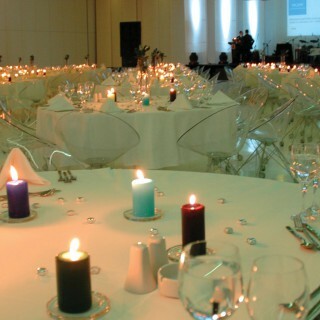 Do you want to impress your guests or your business partners? 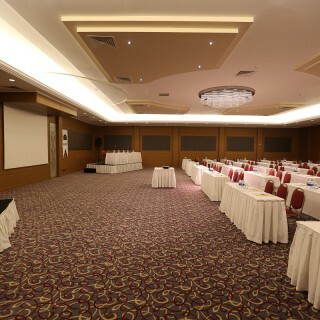 Then Papillon Zeugma is the place to be... Papillon Zeugma offers the perfect atmosphere to both host your guests and hold productive meetings and is always at your disposal with its unique event organisation and hosting services, ready to boost your productivity and prestige. 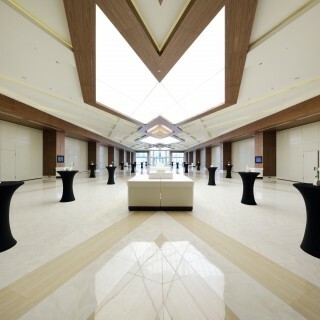 Turquoise hall is 650 m2 and is in the shape of a hexagon. 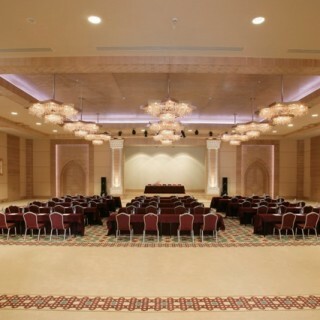 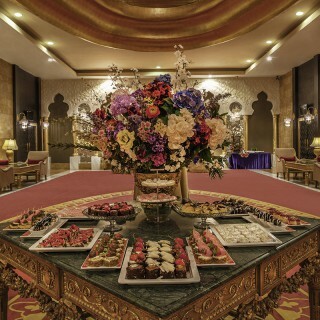 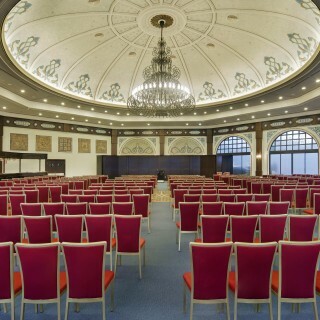 Decorated with Ottoman patterns, this hall has stunning beauty and is perfect for all types of events. 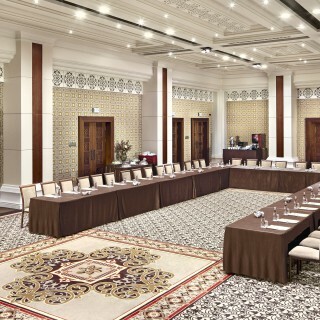 This meeting hall also has its own terrace with an amazing view of the sea. 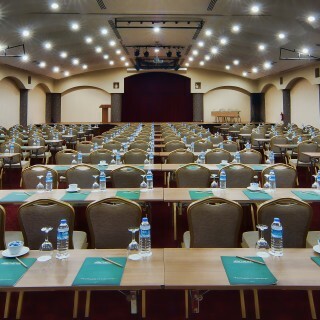 Turquoise is a multi-purpose meeting hall that can be used for fairs, exhibitions and meetings. 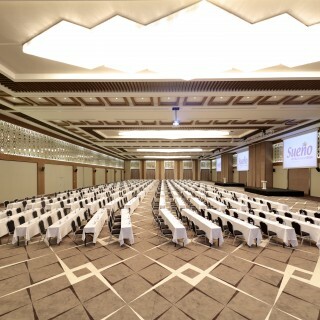 Conference organization is a serious business. 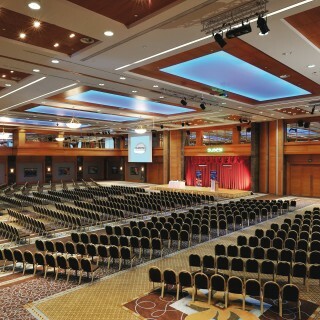 Fully equipped colossal convention center of Regnum Carya Golf & Spa Resort has been so finely organized that conference organization will be a of joy now on… Featuring an area of 7500 m2 in two storeys completely receiving sunlight, the convention center is at the professional level to host any kind of national and international convention. 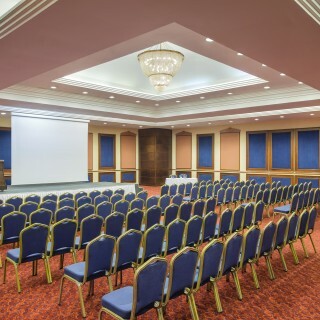 Our rooms offer a flexible operation with functional designs equipped with the state of the art video, audio and light systems. 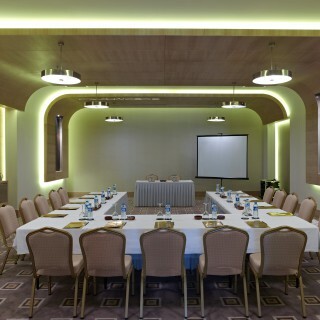 The rooms can be divided into different parts upon request and enable special arrangements to be made. 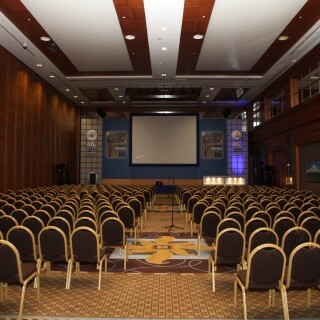 Some ideas and options for your event: - Conference: New as of October 2006 our Forum with the latest conference technology and enough room for up to 450 people - Incentives: For instance, quad-bike outing, rafting and off-road tours and lots more - Exclusive events: Chill out to the setting sun, relaxed get-together on the landing stage or beach with music, finger food and cocktails, themed parties in the Forum and lots more Ideal for confrecences, seminars, congresses Seminar lump sum: One seminar room approriate for the size of the group, 2 standart coffee breaks, seminar drinks, standart conference equipment, seminar care and support are included in the lump sum. 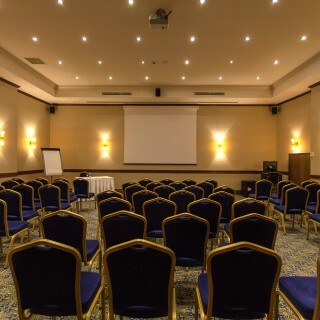 Extra equipment abailable for an extra charge Flip charts, pinboards, overhead projector, screens, video projector, music system Energetic business breaks Participants at seminars and conferences can get an energy boost from our 15-minute WellFit workout breaks. 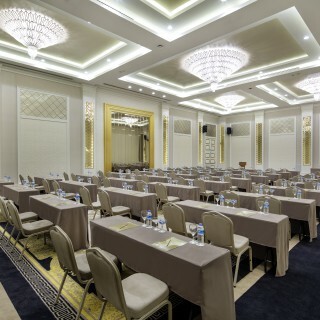 Letoonia Resorts provides maximum motivational opportunities for business leaders from around the world, through its top-end service approach, luxurious conference halls, comprehensive technical infrastructure and hotels situated in some of Turkey’s most special natural paradises. 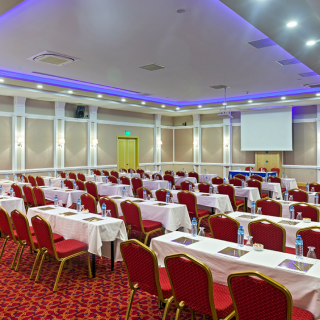 Professional Letoonia personnel are trained to meet a range of organizational requirements for all sizes and style of conferences, meetings, dealer meetings, panels, workshops and all MICE solutions. 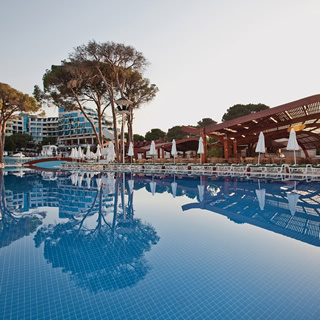 With wonderful hotel facilities, fine dining options and a host of healthy activities and evening entertainment, Letoonia Resorts is the perfect solution for mixing business with pleasure. 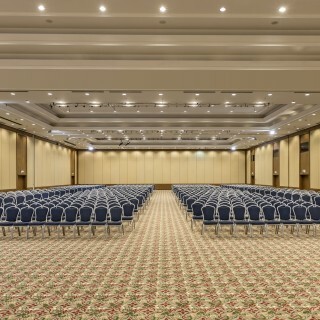 Halls Letoonia Golf Resort is a natural MICE paradise, with a bright, naturally lit columnless and high ceilinged conference hall of international standards that has the flexibility to be divided into 4 sections of varying dimensions and is suitable for all kinds of conferences and organizations. 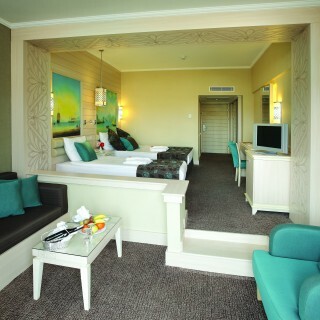 There are also 2 breakout rooms and spacious lounge area. 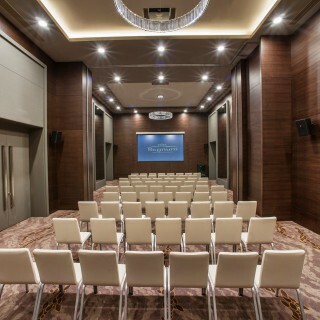 your business, your rules… A different business experience in the heart of Belek you have ever seen in your professional life. 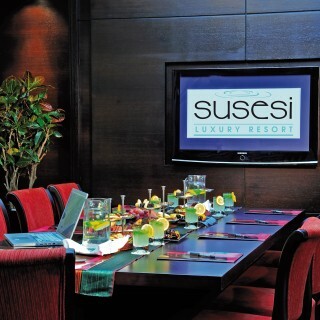 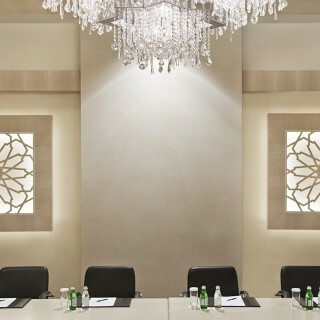 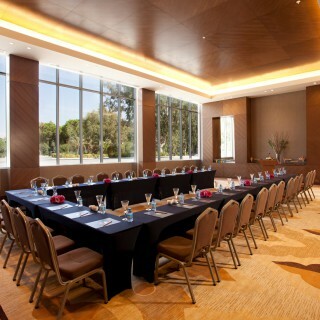 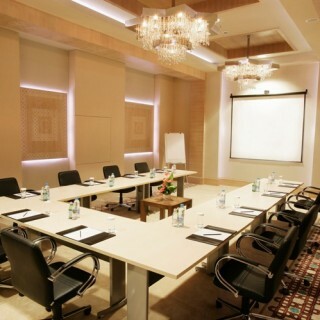 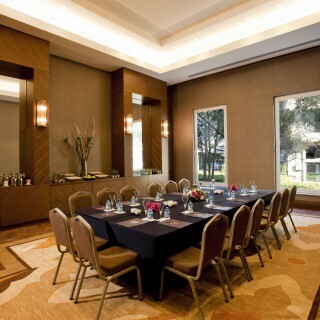 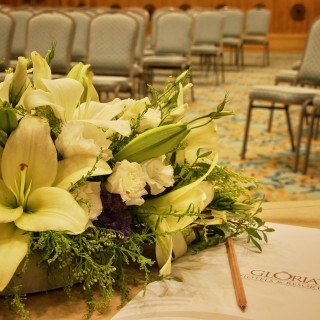 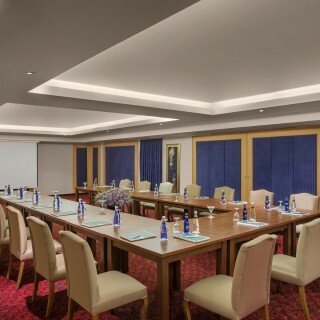 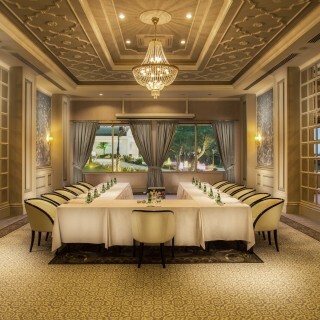 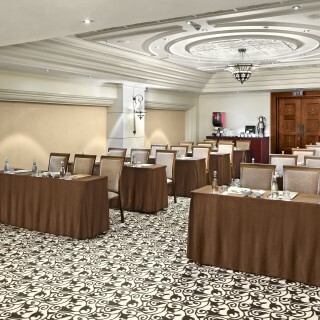 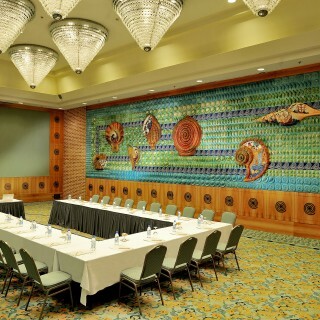 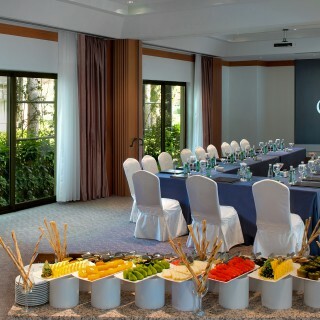 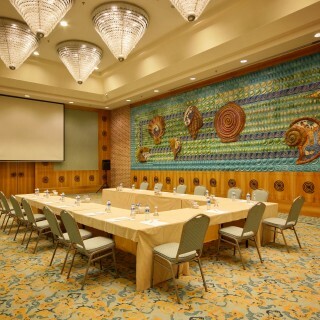 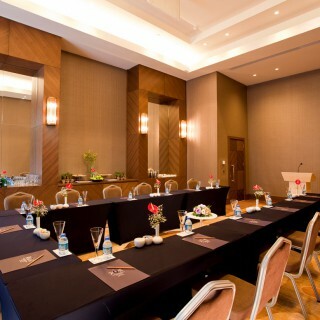 Well-designed meeting rooms and impeccable service is something you could count on SPICE HOTEL&SPA. 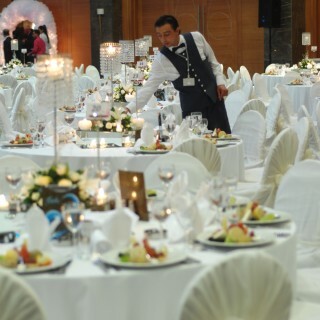 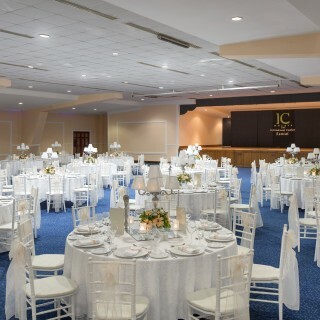 Whether you have a private dinner, a wedding, a formal gathering or a meeting, our Banqueting Team would tailor your event to your exact necessities through combining the contemporary understanding of the hotel management with modern technological innovations. 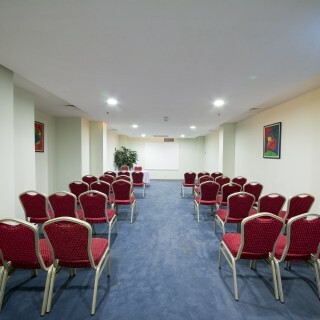 SPICE HOTEL&SPA features also audio/visual equipments, business telephone center, complimentary printing service, fax, modem, office rental, photo copying access. 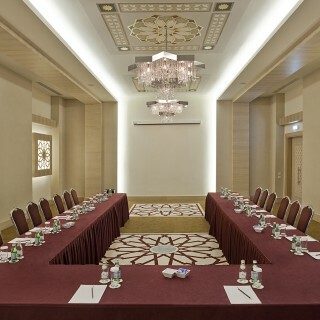 All technical equipments could be customized according to the demands of clients. 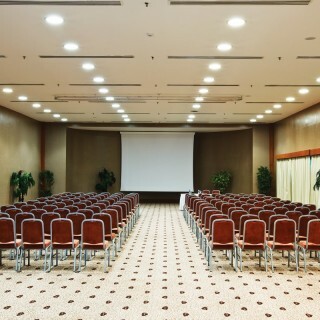 Meeting " Time management and quality " are our most important service criteria. 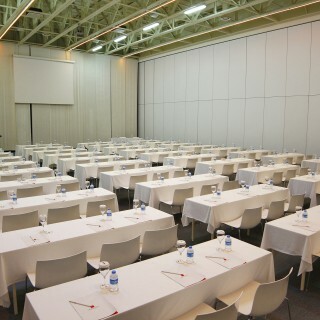 High efficiency and functionality by targeting training to edit Convention Center our last design , motivation and annual management meetings, international conferences, fashion shows , product launches and team of professionals with demonstrations of your every stage of politeness and smiling while taking your side , you fall only on the most important issues ; It is to concentrate on your presentation this . 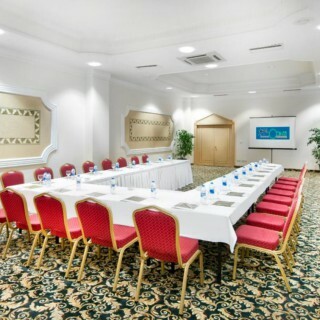 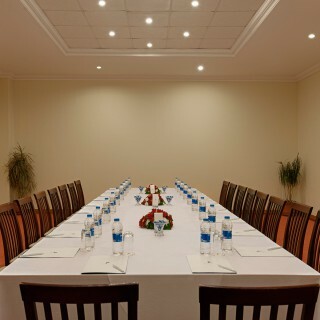 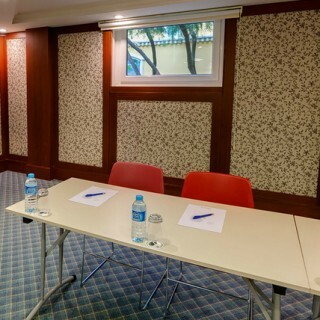 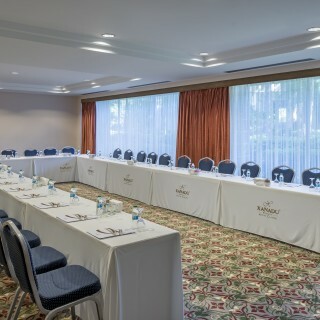 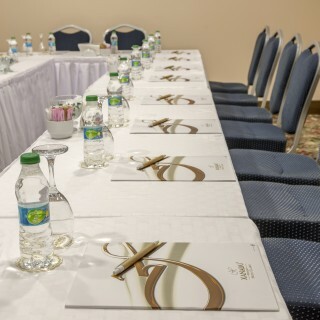 The layout of our meeting places, food and refreshments offered by our services and our professional team , we aim to realize the organization's successful and excellent . " 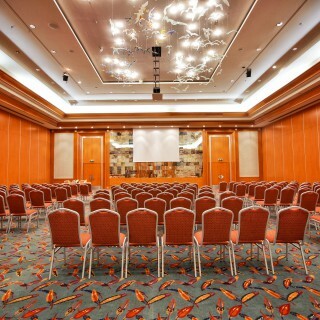 Time management and quality " are our most important service criteria.